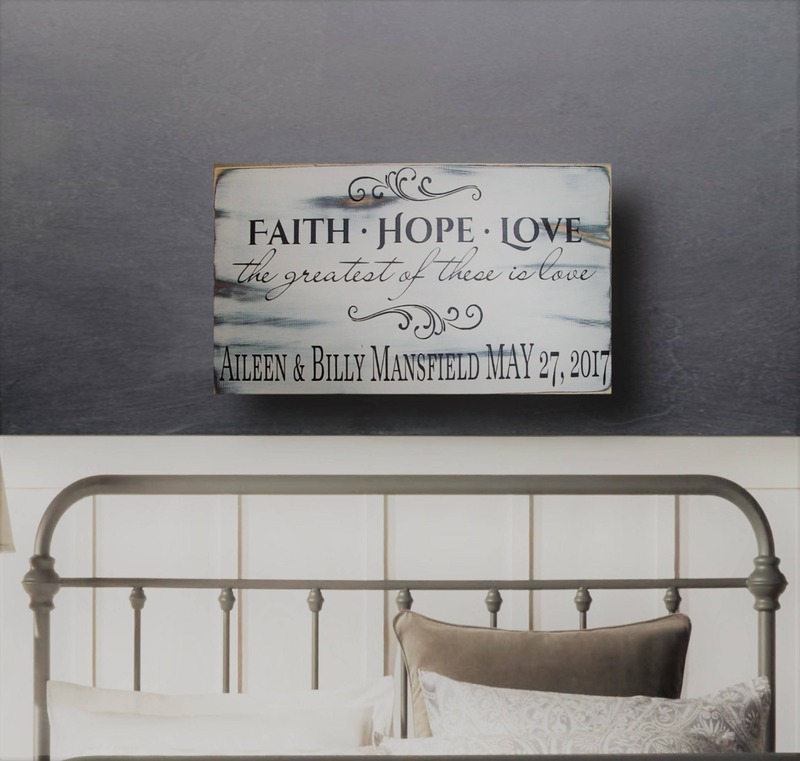 A Bible Verse gift becomes a Custom Wood Sign, by adding a Family name and, features Faith Hope Love, making it the perfect Wedding Gift, Anniversary Gift or Bridal Shower Gift. 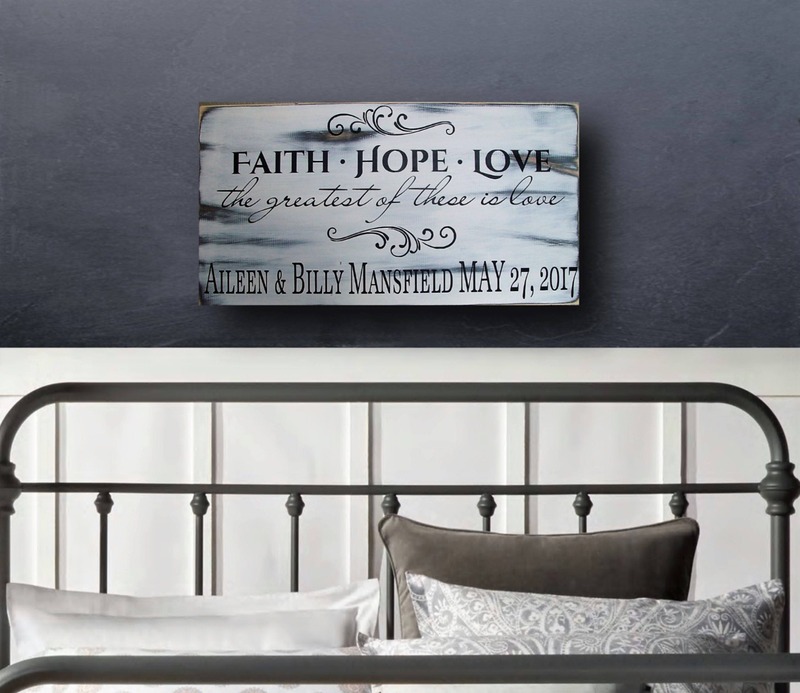 Add the Bride and Grooms names and wedding date, or a family name and established date... Give a gift that is not only personal but will make a beautiful picture wall. 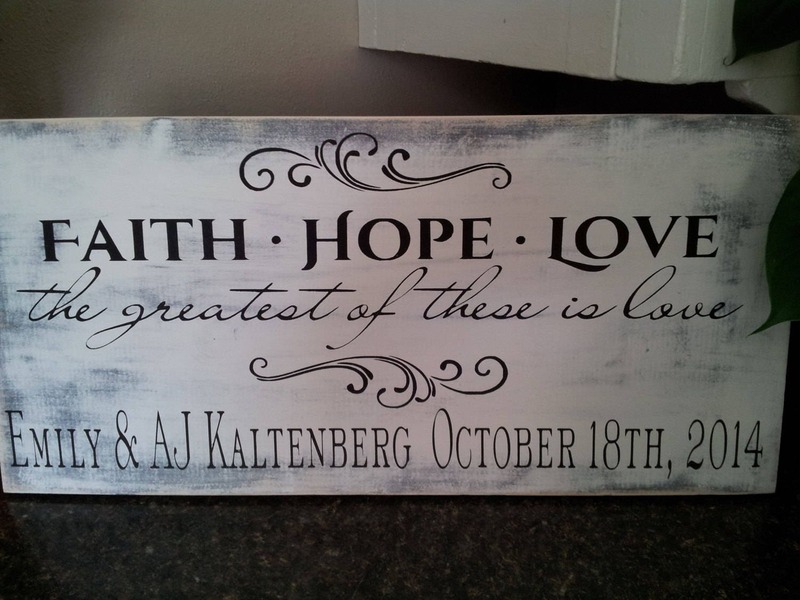 The perfect Wedding, shower, anniversary, Chirstmas, Birthday Gift. You can't go wrong with this one. 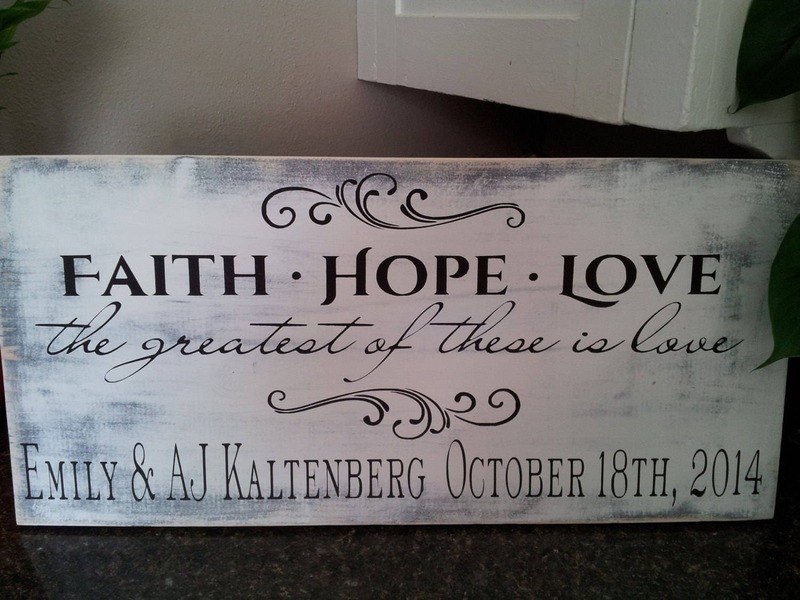 Please specify the names and dates you wish to have on your sign in the comment box when you place your order. 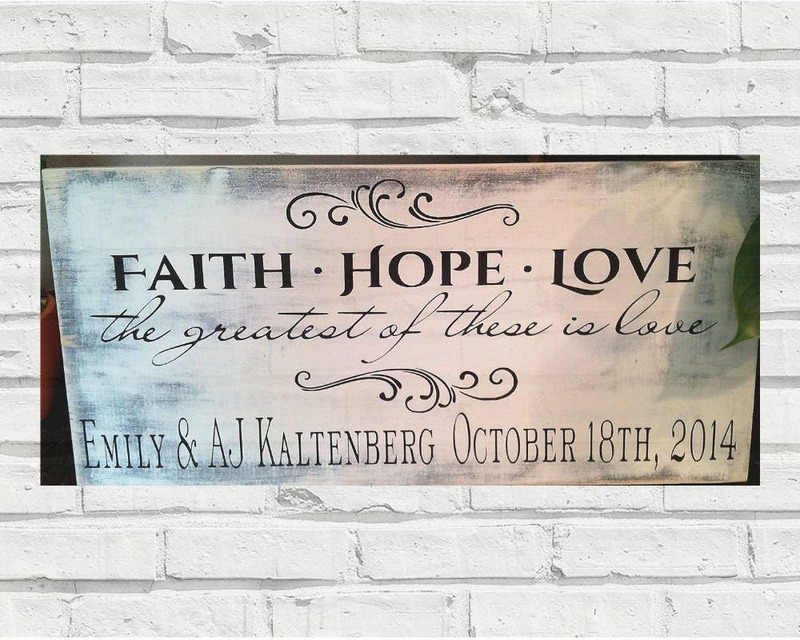 Our Corinthians sign is 11.25 inches tall by 24 inches long, a great value for a personalized wedding gift, anniversary gift, birthday gift or Christmas gift. 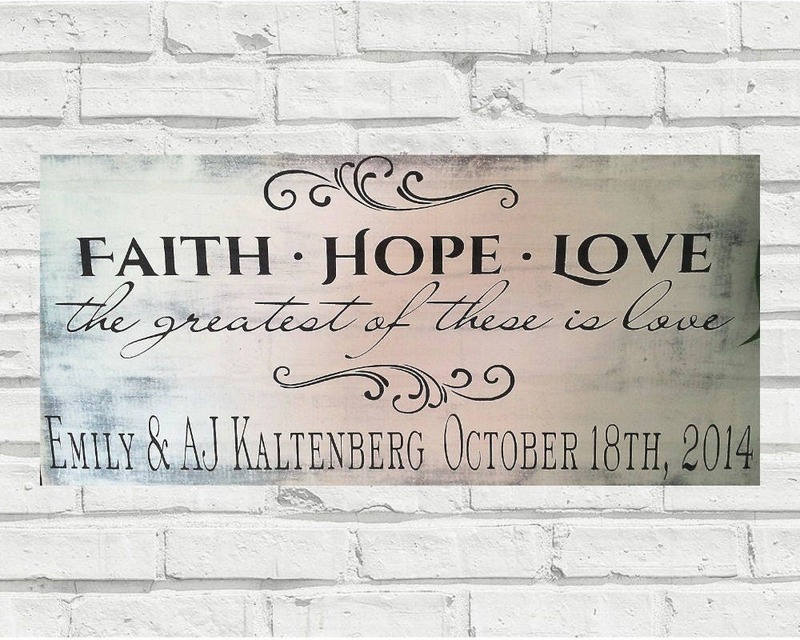 This wedding sign is hand painted on solid wood, we do not paint the back of the sign as it saves time and money and that savings is passed onto you. Wood is a natural product, so expect imperfections in the boards, nature always gives us character. 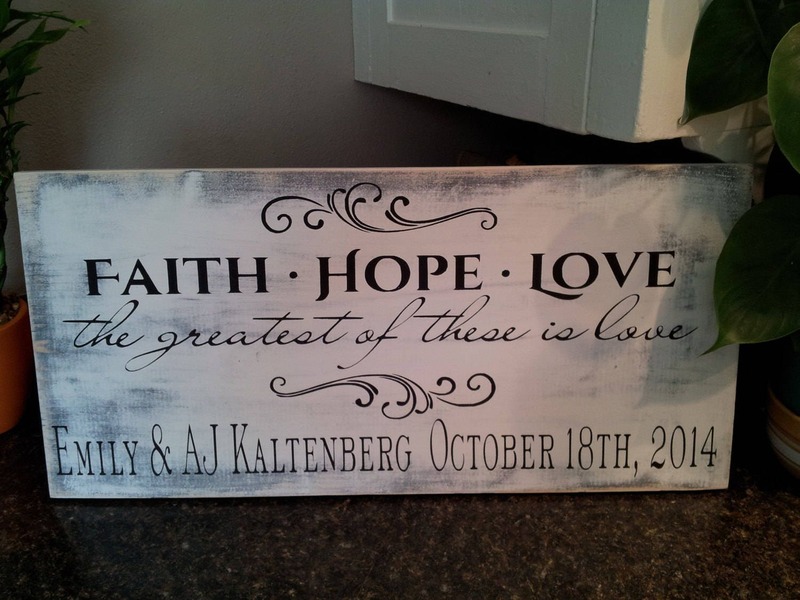 Each sign is hand painted so the color may vary slightly. Thanks so much for stopping by, please feel free to email me with any questions. We do take custom orders and will gladly directly chip your sign to it's recipient. 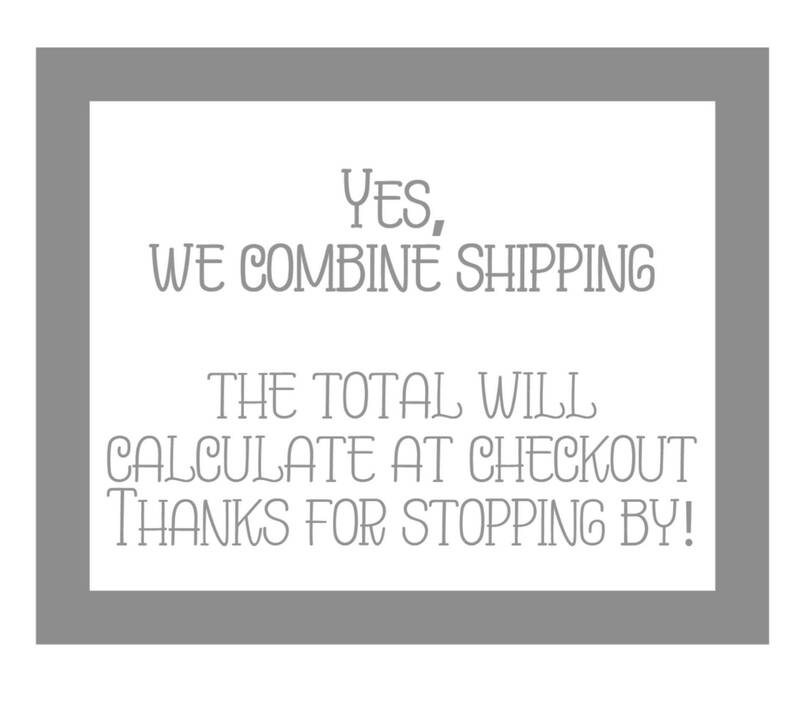 We usually have your sign in the mail within 7 business days.